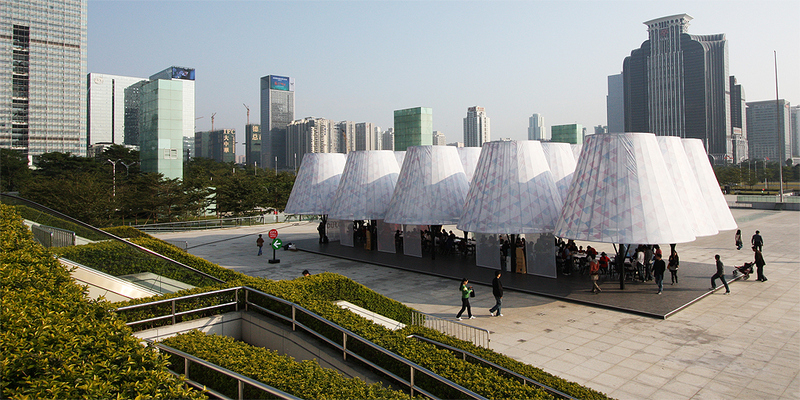 Maurer United Architects [MUA] was selected to design a pavilion for the Shenzhen Hong Kong Biennial for Architecture and Urbanism 2009. 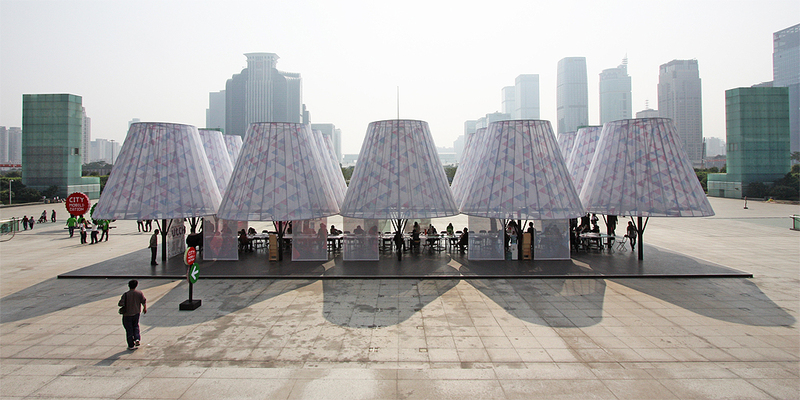 The title “Medular Pavilion” refers to the words ‘medulla’ and ‘modular’. 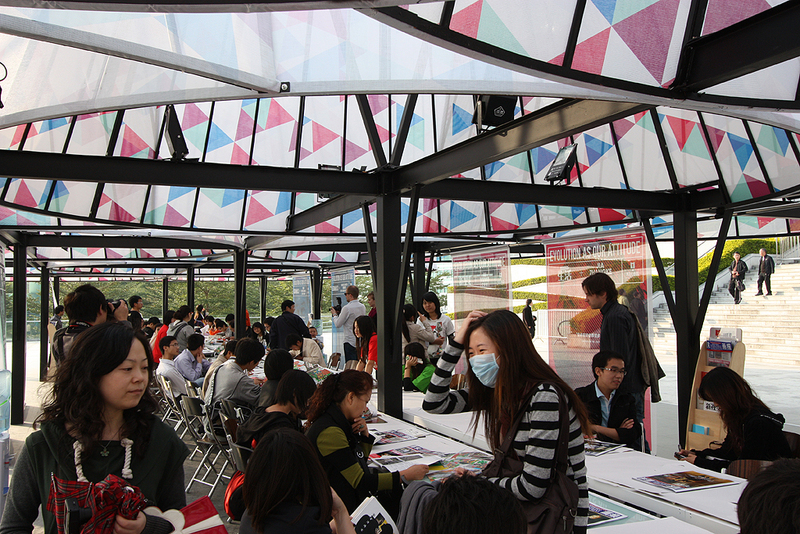 The function of the pavilion is to offer visitors of the biennial a place to sit down and to relax and read. To reset their mind. The design of the pavilion goes back to the fundamentals of architecture and construction: a sequence of tree rows. Together, the tree tops form a ‘roof’ that gives shelter. At the same time the tree tops are given the shape of enormous ‘lampshades’. Between the tree trunks ‘curtains’ are placed. These two elements refer to residential activities like inside resting, meditating and reading. 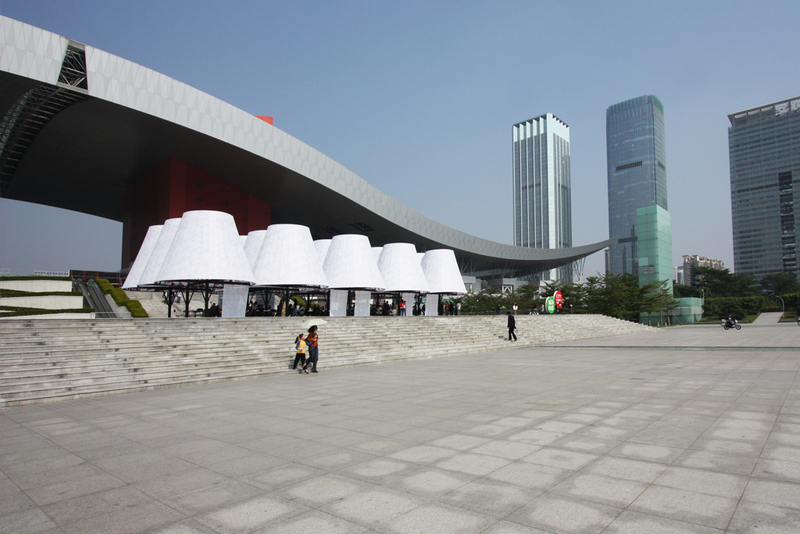 This play with connotations is carefully translated into the structure of a human-scale superficial park located on the large-scale Shenzen Civic Square. 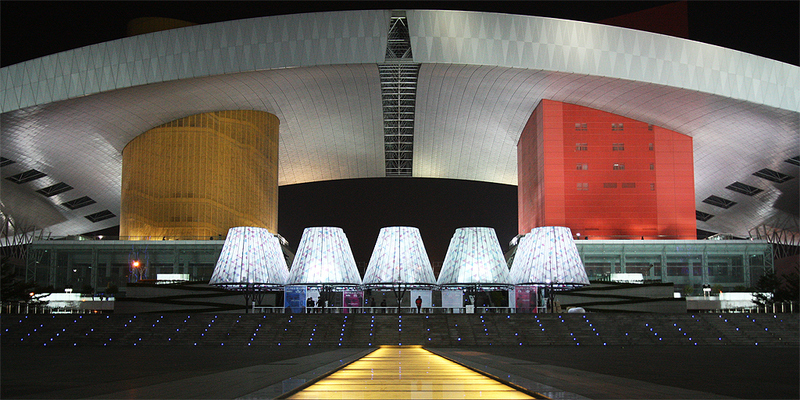 The design generates a layered set of meanings, that is readable by a wide audience.